At Epcot, IllumiNations: Reflections of Earth will celebrate with a patriotic laser light finale on July 4. Guests at Disney’s Hollywood Studios can check out the Star Wars: A Galactic Spectacular nighttime show and at Animal Kingdom, Rivers of Light takes place twice nightly. 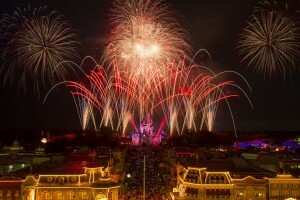 The Voice of Liberty will perform at Epcot’s America Gardens Theater on July 4 at 5:30, 6:45, and 8 p.m., while American Music Machine will perform at 12, 1, 2, 3, and 3:50 p.m. Guests will also find Disney characters in their All-American costumes at the American Adventure Pavilion. At the Magic Kingdom guests can check out The Muppets Present…Great Moments in History. 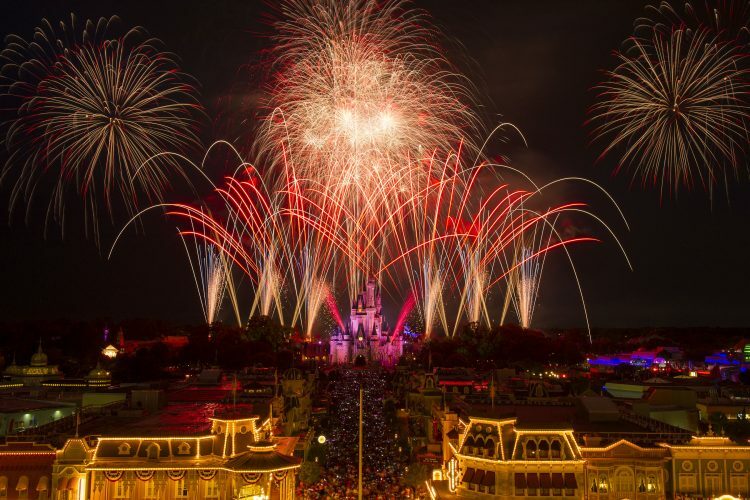 And finally, Disney’s Grand Floridian Resort & Spa is hosting a Fourth of July cookout complete with steak, hot dogs, baked beans, side, and much more. The cookout is $120 for adults and $59 for kids ages 3-11. Reservations can be made by calling 407-WDW-DINE.